"Don't Want to Live Inside Myself" is a strange one. There is a potentially fantastic song there. The chorus is simply fabulous. But they needed to work a bit harder on the verses, and especially the recording: one of the most amateurish, lackluster performances on a major record. Sounds like a demo when you put the drums on after the piano -- which is probably exactly what happened. They should have sprung for a re-recording. Quacoan wrote: "Don't Want to Live Inside Myself" is a strange one. There is a potentially fantastic song there. The chorus is simply fabulous. But they needed to work a bit harder on the verses, and especially the recording: one of the most amateurish, lackluster performances on a major record. Sounds like a demo when you put the drums on after the piano -- which is probably exactly what happened. They should have sprung for a re-recording. This is really strange, because I'm listening to it right now, expecting Syd Barrett-levels of incongruence, but with the tambourine locking it all in, it sounds just fine. The drums come in a tad late on the last verse, which would be tricky even in a live setting. Are you sure you've got the right song? Played this yesterday. Like Most Bee Gees albums, Side One is virtually flawless. 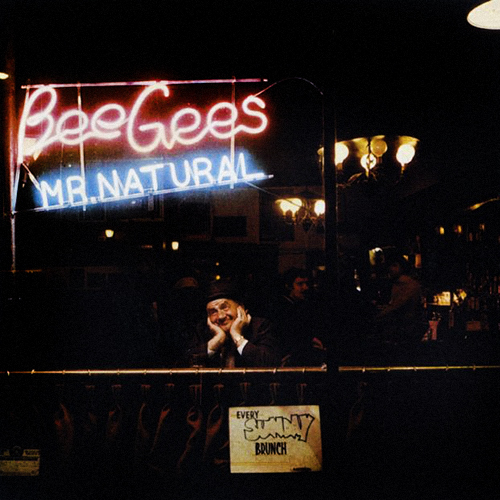 I've always loved the Bee Gees, but I just finally acquired Mr. Natural this past year. It is a good and satisfying listen, much better than I was expecting. It peaked at #178 on the Billboard charts, but better things were to come. I used to have this stuff (and more) on a bootleg double CD set, but the jewel case disintegrated and I don't know where the discs went. I have the materials spread out on different releases in the Rare, Precious and Beautiful series and some other odd semi-legit looking LPs, but it's great to have it all in one place. Some of it's pretty dumb, but a lot of it's great. 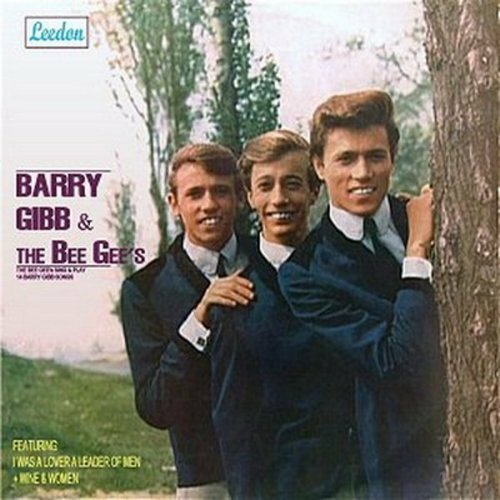 I hadn't ever even seen an Australian album cover by The Bee Gees (I have the Brilliant at Birth 2-CD set). I may have to check these out. That sounds pretty advanced for 1965--I'll have to find that. Jack Wild? From HR Puffenstuf! Phenomenal Cat wrote: I hadn't ever even seen an Australian album cover by The Bee Gees (I have the Brilliant at Birth 2-CD set). I may have to check these out. Yeah, that's the one. It's a whole series of things, the whole performance. It sounds like the piano was done to a click track, then the drums were added later. That fill into the last chorus is the worst bit, but the whole thing is wrong! Phenomenal Cat wrote: Played this yesterday. Like Most Bee Gees albums, Side One is virtually flawless. Now playing. These guys have a very odd idea of how to sequence an album side. Quality stuff though, you're right. Barry did this one live. He said, "After we wrote this one, we knew we could actually write songs". It's amazing how far you've come in a few short years, Snarfyguy. From holding the Brothers Gibb Guilty as Charged of Disco Crimes Against Humanity to recognizing a potential career-capsizing MOR flop like Mr. Natural as "quality stuff." When you start with those 60's albums the group is hard to deny. Guy E wrote: It's amazing how far you've come in a few short years, Snarfyguy. Yeah - you changed, man. Does finding their sound necessarily make Main Course a "masterpiece"? I'd take issue with the equation of 'stratosphere of popularity' and 'masterpiece' as well. 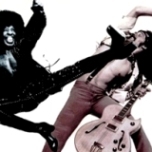 Unless Led Zeppelin IV can be judged the same way.